In order to improve consumption of products, especially during important holidays and customers’ special days, Mageplaza developed Gift Wrap extension. Gift Wrap allows to create/ delete/ edit/ classify attractive gift packages to serve customers. 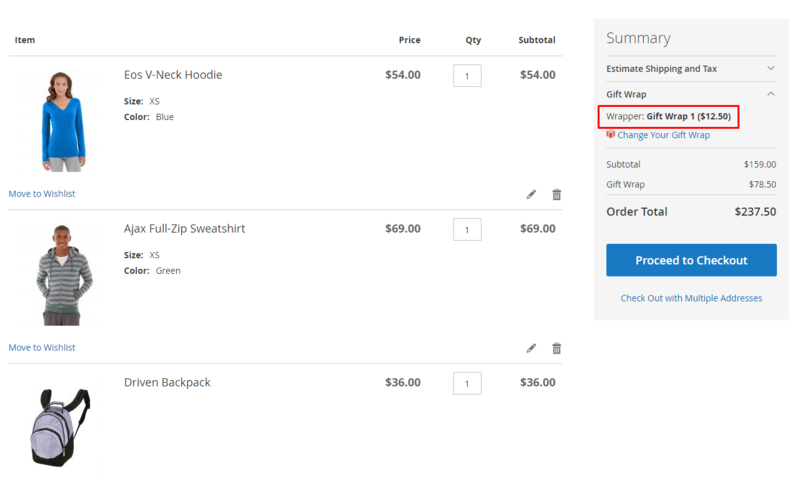 Admins can view and manage order information with gift packages. And of course, customers can freely choose suitable gift packages. In addition, customers can add cards with messages to the recipient. 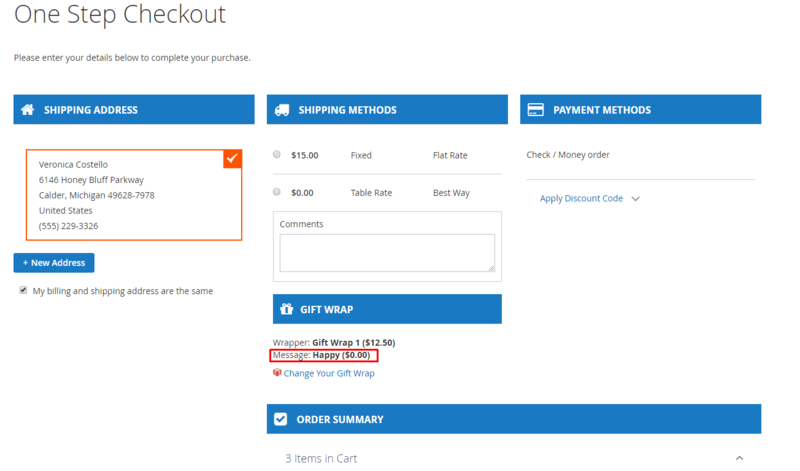 The Gift Wrap plugin is fully compatible with Mageplaza’s One Step Checkout. 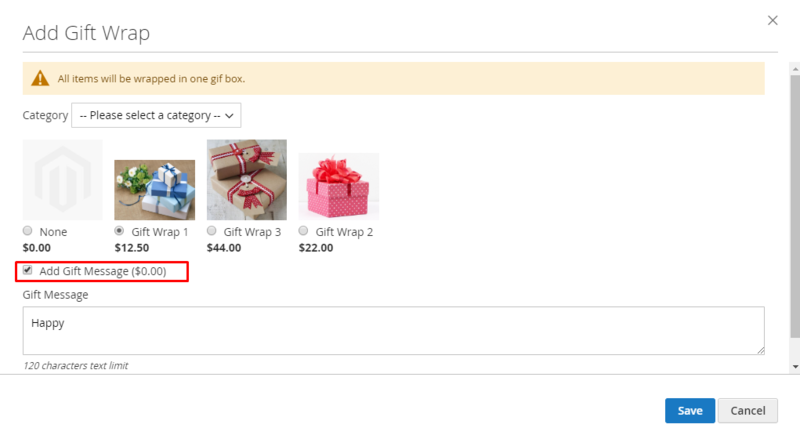 Add Gift Wrap Button Label: Choose the label for Gift Wrap button, default label is Add Gift Wrap. Change Gift Wrap Button Label: Choose the label for selected gift wrap, the default label is Change Your Gift Wrap. Tax Class: Select Tax Class that customers need to pay. 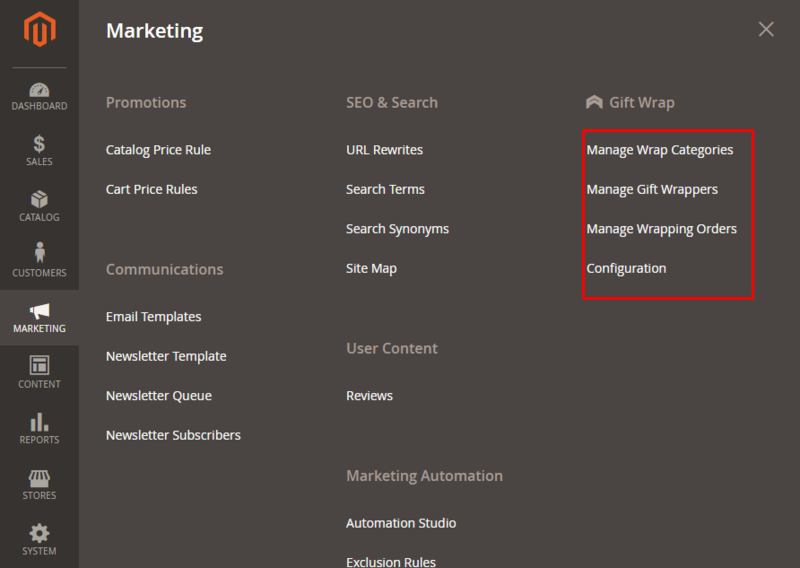 Click Choose file to select the icon displayed infront of Add Gift Wrap label in Frontend. Delete image: Delete the icon chosen. Apply for each certain Product and for the shopping cart as well . 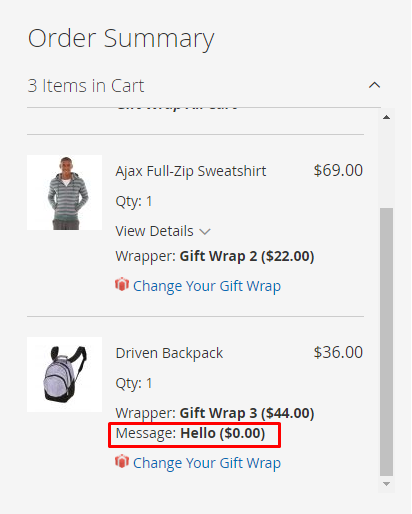 Enable Gift Message: Select Yes to display the message box, display 2 more fields: Max Characters, Gift Message Fee. Max Characters: limit the maximum number of characters of the message, the default is 120. 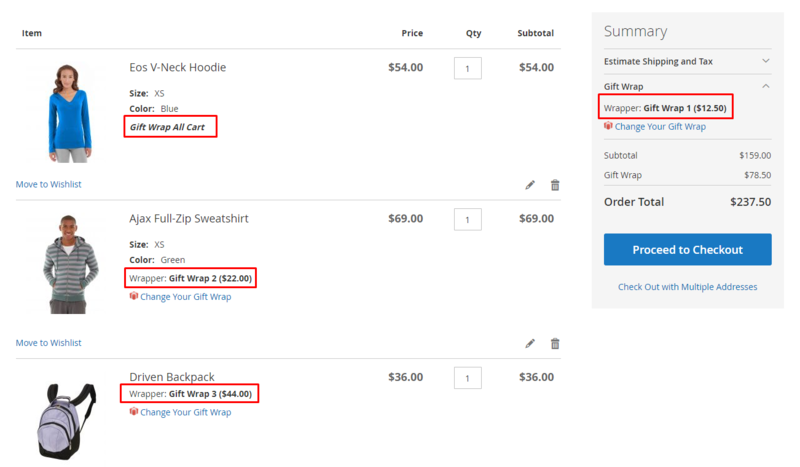 Gift Message Fee: set the message fee, default fee is 0. Show the Mageplaza One Step Checkout option when installing Mageplaza’s One Step Checkout extension. With this module, customers can go through 6 steps of payment in one page, making it convenient for them to process with checkout. This is where the gift package catalog is displayed. From Manage Category, admin can capture basic information of Gift Wrap such as ID, Name, Status, Price Type, Amount, Image, Category, Sort Order, Action. Change Status: Change the status of the selected Categories. Edit: Redirect to the Edit Category page created before. 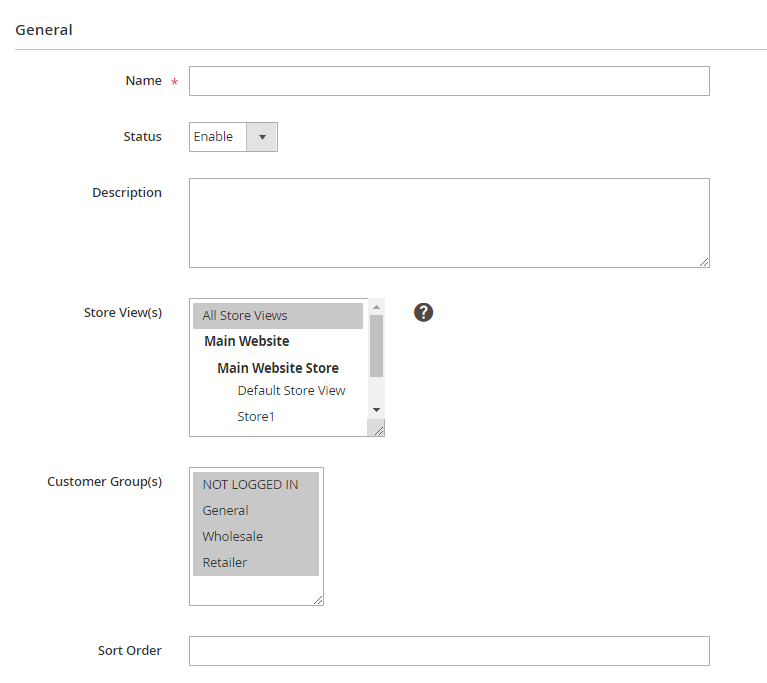 In addition, admin can Filter, Change Store View, Hide/Display Columns. Name: Enter a name for the Category. This is a required field. Status: Select Enable to display the Category in Frontend. 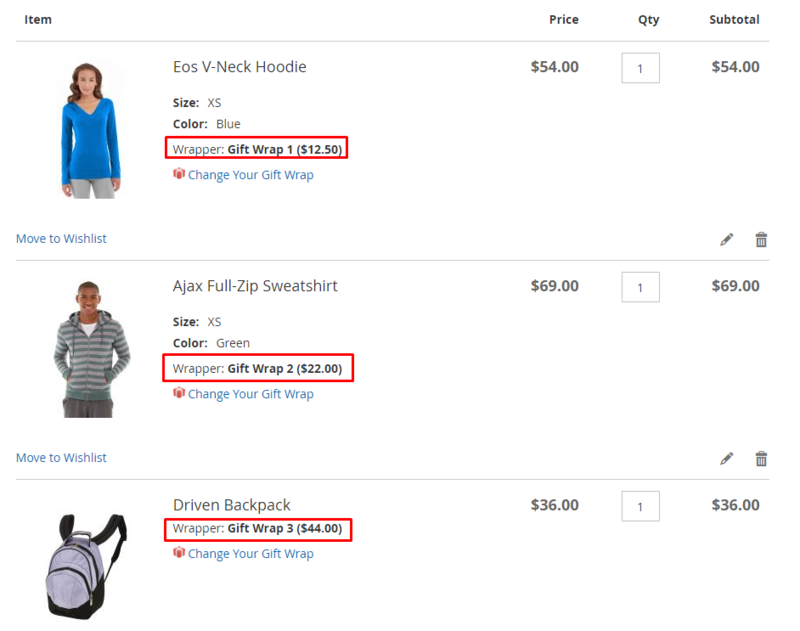 Store View(s): Select a storeview for category shown at frontend. You can select multiple storeviews. Customer Group(s): Select the customer group for which the Category will display. You can select multiple customer groups. 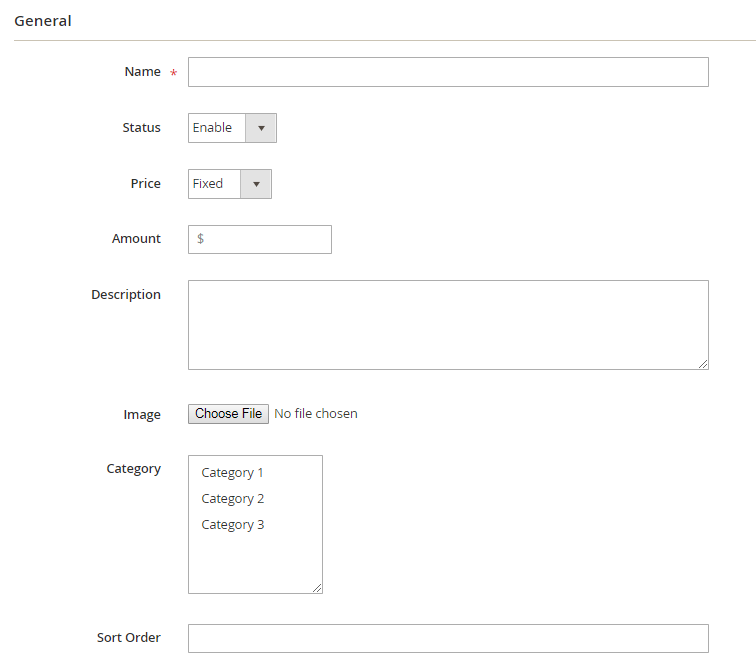 Sort Order: default is 0, the Category with smaller Sort Order will be displayed first at Frontend. This is where the gift wrap catalog is displayed. From Manage Gift Wrappers, admin can capture basic information of Gift Wrap such as ID, Name, Status, Price Type, Amount, Image, Category, Sort Order, Action. Change Status: Change the status of the selected Gift Wrap. Edit: Redirect to the Edit Gift Wrap page created before. Name: Enter a name for Gift Wrap. This is a required field. Status: Select Enable to display Gift Wrap in Frontend. 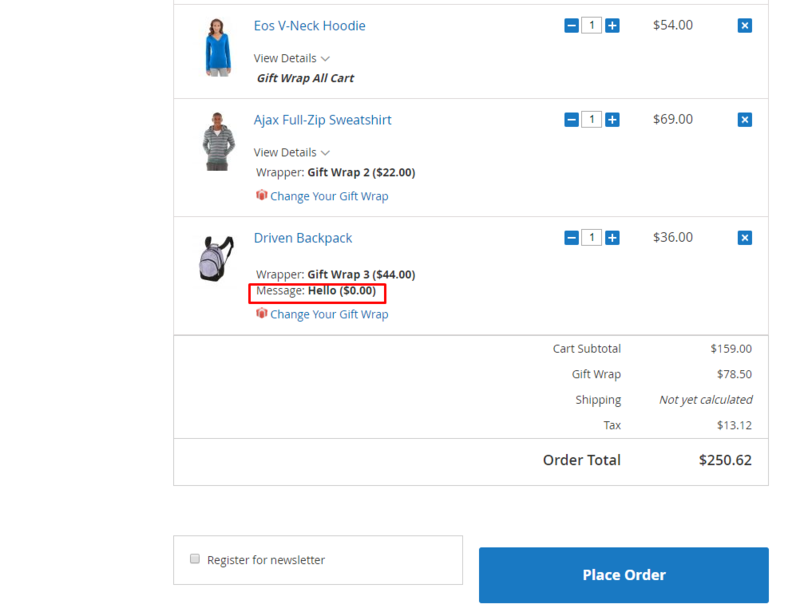 Fixed: Calculate the price basing on cart total. Amount: Enter the gift package price. Description: Enter the description shown under Gift Wrap. Image: Select the image displayed in Frontend. Category: Select the gift package category. 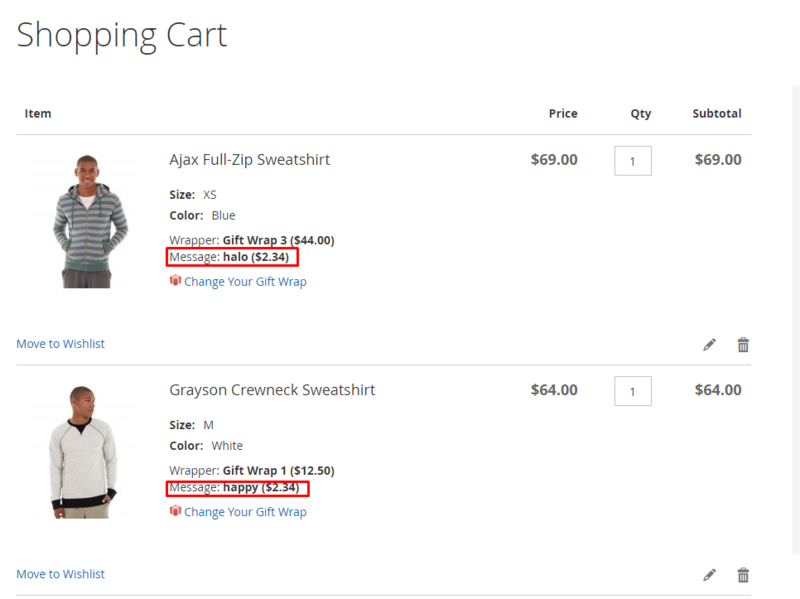 Sort Order: default to 0, Gift Wrap with smaller Sort Order will be displayed first at Frontend. Here is the storage of the Gift Wrap products and messages that customers has ordered. Admin can Filter, Change Store View, Hide/Show Columns or download information table in csv and xml file.